Capitalists@Work: Where should you flee Brexit too if you are a Capitalist Corporation? Where should you flee Brexit too if you are a Capitalist Corporation? For the first, this is how seriously a country takes enforcement or regulatory rules and therefore how much time and effort you will have to put into pretending your company is operating there. This is quite a hurdle, Ireland for example are saying you have to have significant operations in-country to count. This is not surprising, given how close to death Ireland came in the 2008 Financial crash. What this means is that very few countries are able to offer the light regulation (this means a brass plate address a la the Cayman Islands). 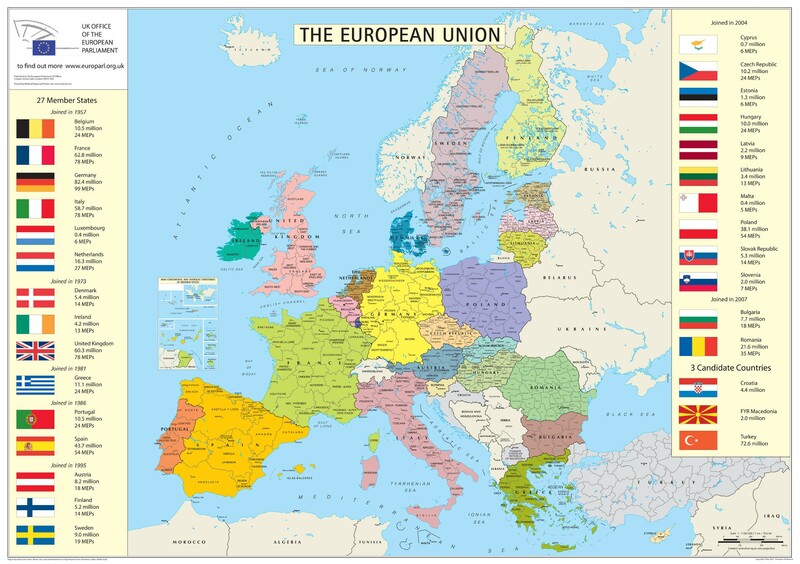 The EU Countries that do are Malta and Luxembourg. Neither of these places really wants large movements of people to them. Of the other major Countries, Germany, Ireland, France, Holland, Iceland and Lithuania offer a more challenging regulatory regime, but at least you could actually move people there. Here though both Employment and Language come into play. Ireland apart language is a real issue and notably in France employment issues too - not point being a capitalist company if you can't sack the staff or only hire contractors. The employment element rules out most countries. Then of course, France and Holland may exit the EU themselves, so why move there for only a temporary escape. So when it comes down to it, there is only really Luxembourg, Malta and Ireland as serious places to go. Luxembourg ins hands down as many financial services funds are already domiciled in Luxembourg to pay no tax. of course, if you have actual people and business to move then there is Ireland but there regulations mean that is a long process that you really should have started already. For how long though will the EU put up with Luxembourg offering its companies and UK companies a no-tax jurisdiction within the heart of the continent? Also, when the Financial Transaction tax hits, how much will that hurt the EU trading companies - why bother moving now only to come back later? As a final thought, due to the above I fully expect to see Luxembourg and Malta veto any moves towards allowing UK passporting or other deals with the EU. They will push for hard Brexit all the way as for them it is a one-way bet. They will push for hard Brexit all the way as for them it is a one-way bet. Then when the UK says, we go tax haven, banking secrecy for EU investors into the UK, they discover that its not quite as rosy as they thought. For how long though will the EU put up with Luxembourg offering its companies and UK companies a no-tax jurisdiction within the heart of the continent? Aren't the terms of any agreement under Article 50 subject to qualified majority voting? And don't the dodgy bookmakers and investment firms domiciled in Malta and Luxembourg make a fair wedge of their cash off gullible UK punters? So why would they want to lose passporting etc? Yes - QMV does matter, but the point for me is that the recalcitrant leaders will be Lux and Malta, who will help France under Macron and others who will lose out (Portugal for funding and Eastern Europe for population exports). only around 8 countries needed to block and these tiny principalities make up a quarter of the number already when their EU economic impact is less than 1%. The terms of departure are QMV but any ongoing relationship would require a treaty so the Walloons would have a veto. So we need a big country with the potential resources to support big banks: that means Germany, France, Italy, Spain, Italy and maybe the Netherlands and Sweden. We need a good transparent legal system: that rules out France, Italy, Spain. We need labour flexibility: Germany, the Netherlands and Sweden probably are all just about acceptable. We need a sensible tax regume: that rules the remaining three out. So the least worst is probably Germany. And Germany is the least likely to fall when the Euro system collapses. But how keen really are banks to move to Frankfurt or Berlin? Singapore or New York seem more likely. SL, are you suggesting that the UK provides demand as well as supply? Report immediately to Guardian HQ for re-education!! Everyone in Iceland speaks English well, but it's not in the EU (a Norway-like arrangement) and now has no intention to be. But ... four hours daylight in December/Jan, "interesting" weather even to a Brit - you can die of exposure in the National Parks in July, the wind and black lava sand can strip the paint off cars, no trees to speak of and no word for 'please'. Oslo would be just as suitable and a lot nearer to everywhere else, plus a very pretty city and you can tan on the island beaches in summer. Londoners would feel at home, East Oslo is just like Brick Lane. On the other hand you can play golf (Icelanders are big on that) at 10.30 at night in summer. Echoing Anon @2:23, English isn't much of an issue in Iceland. Everyone under 30 is fluent in it, usually moreso than a lot of actual Brits are, and of those over 30 most are capable of understanding. One of the spots I'm actually considering moving to after seeing the place in every season but summer. A very nice work/life balance, a love of the new and pretty pragmatic. If you've something good to sell, they'll buy in their droves! The banks may not appreciate moving there, but many a business would benefit from the cheap and plentiful geothermal energy, although that is pretty much the only thing that is cheap. Anything water intensive, well they've water galore! It's not a replacement for London, but for some businesses it'd be worth looking at. The east coast of the US isn't that far, and neither is Europe. Our advice - which we've shared with HMT - is Article 50 is QMV. So, if the rest of the EU want a deal, then Lux/Malta (or Wallonia) can't veto. I'm not so sure from the discussions we've had that Lux would veto anyway - there's not enough real estate for people to live there - they'd all end up living in higher tax France, Belgium or Germany. Nor is there office space. Better for Lux to do a side deal with UK. BE - don't be silly, Labour laws in Germany are akin to France. The food in German is also nearly as bad as France, albeit not that terrible. Your kids would have to learn German in school. Nein. Reading this it almost seems like you expect financial firms to move TO the UK post brexit. I can understand why they would want to carry on exporting their unemployed. So they veto. What's the UK's response to that? No welfare for any of their nationals already here. The end result is that the poorer one's leave of their own accord, and end up unemployed back in Europe. Do these countries really want that? Have they thought it through. CU the Germans must be doing something right in the labour market, as their unemployment level is half France's. I expect the food is improving rapidly as well. "Your kids would have to learn German in school." German in school havingtolearn not a bad thing is.